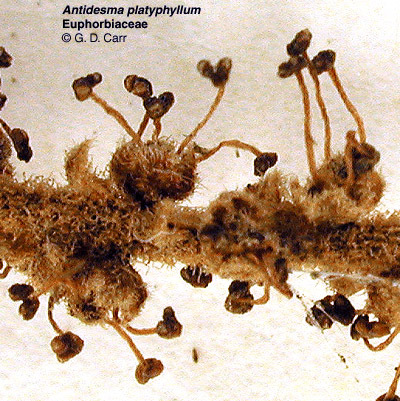 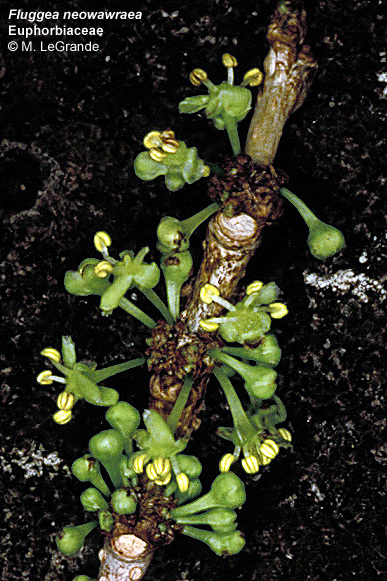 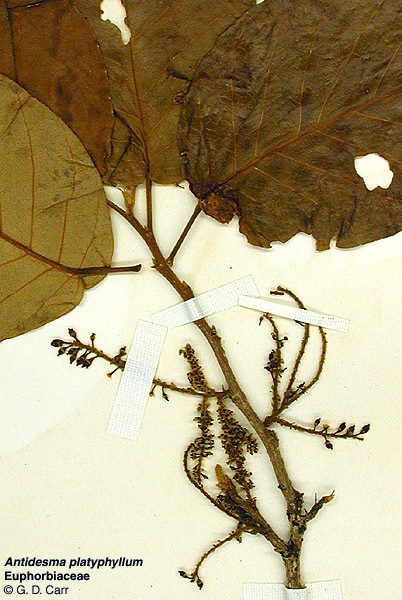 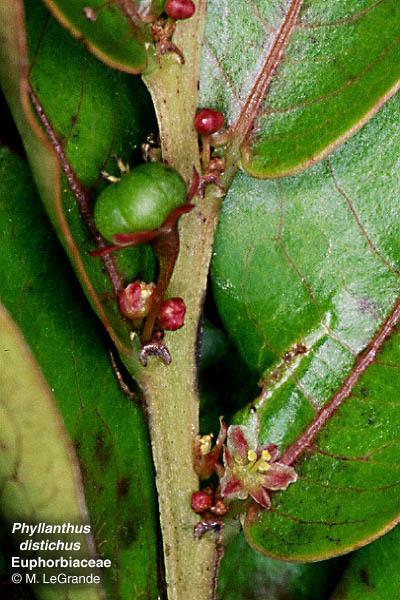 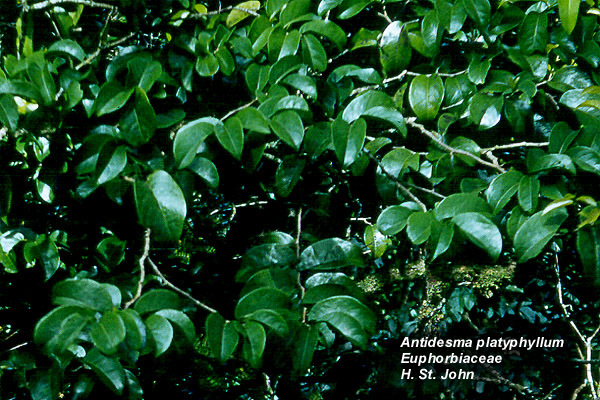 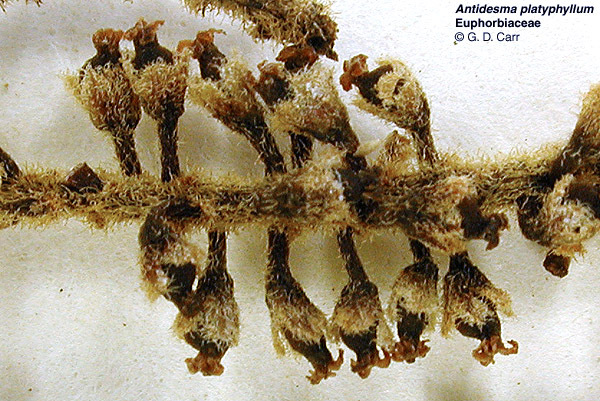 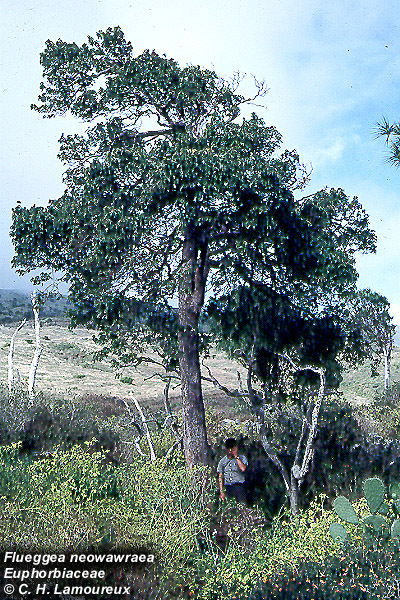 Antidesma platyphyllum, ; hame, ha'a, ha'amaile, hamehame, mehame, mehamehame; bottom 1,2 - female, 3,4 - male; O'ahu, endemic. 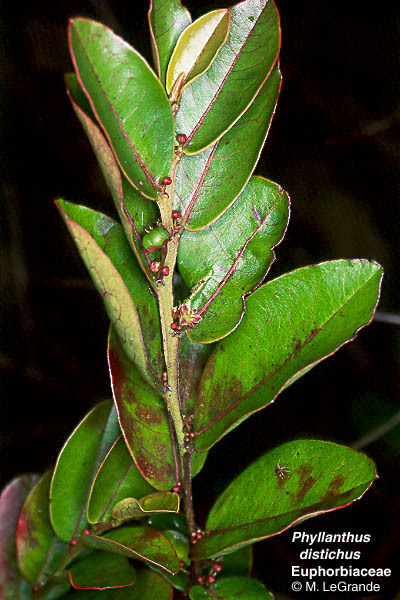 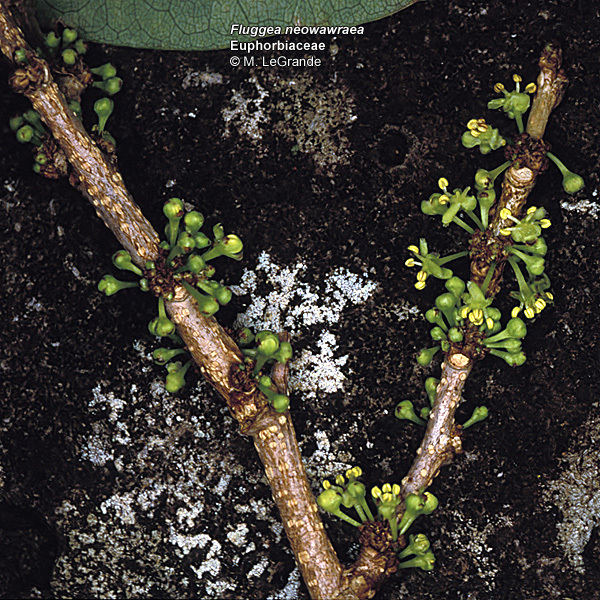 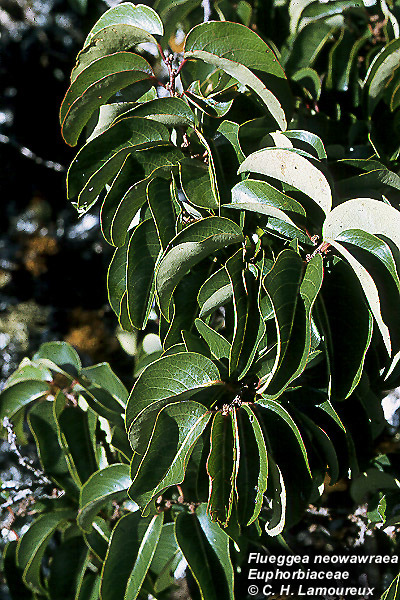 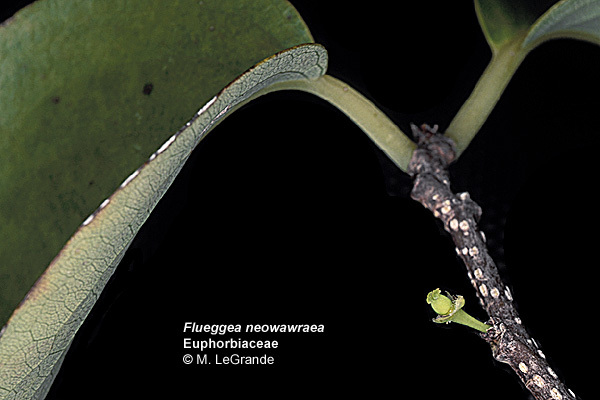 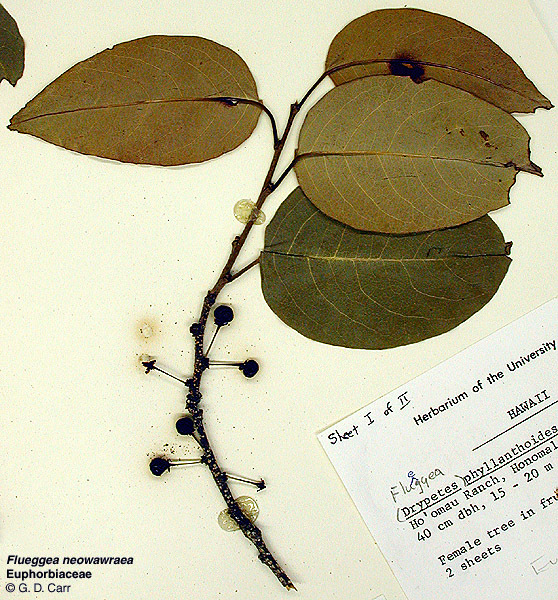 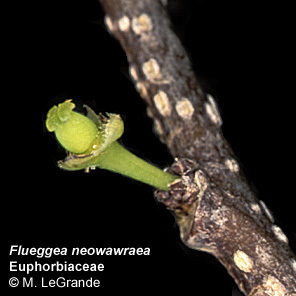 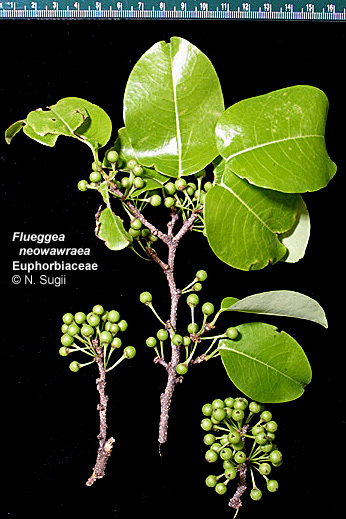 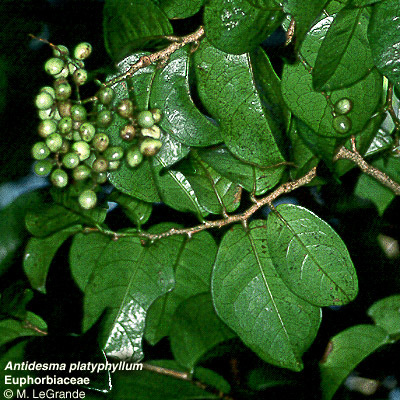 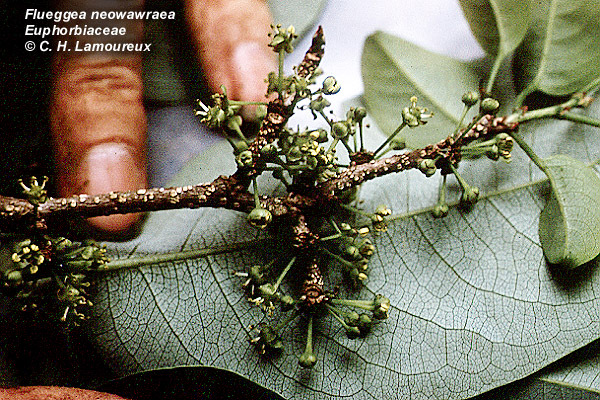 Flueggea neowawraea, mehamehame, 5,6 - Kalalau Valley, Kaua'i, 7,8 - Pohakuao, Kaua'i, 9 - O'ahu, endemic. 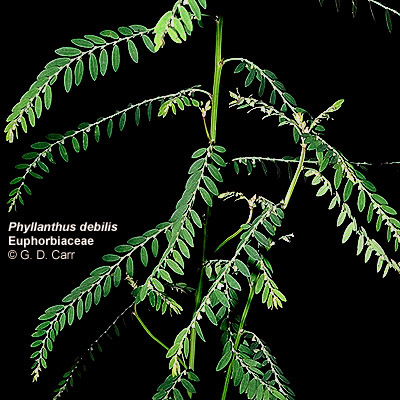 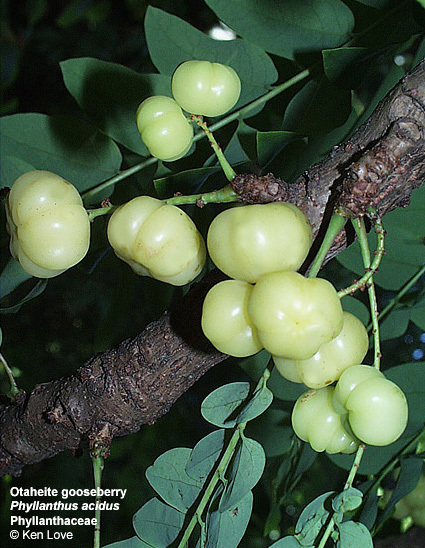 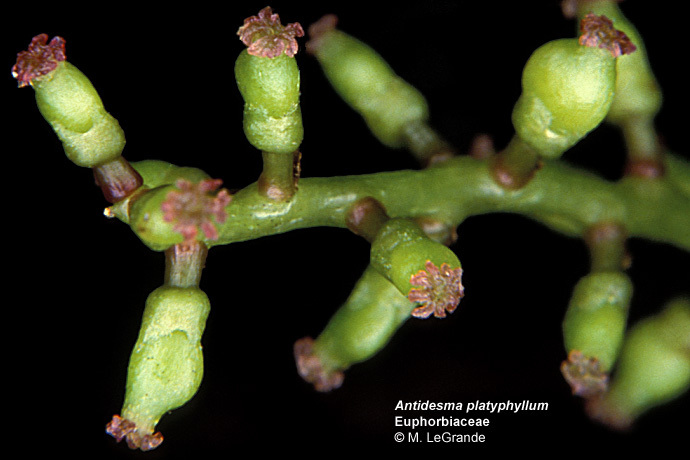 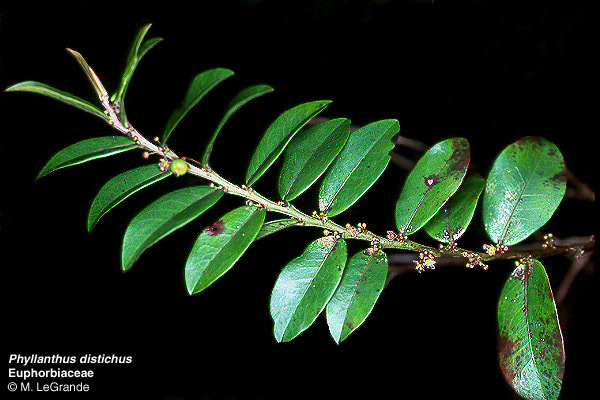 Phyllanthus debilis, niruri. 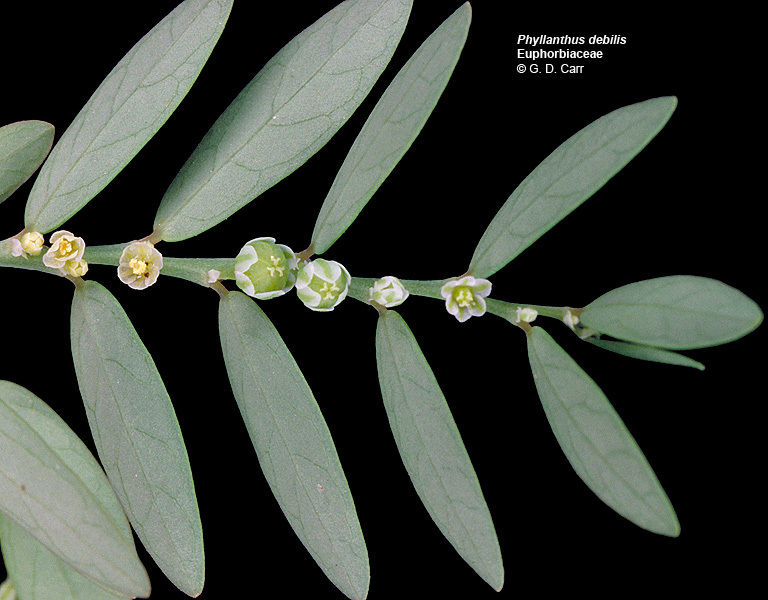 In the second photo, two open male flowers can be seen on the left and three open female flowers are on the right. 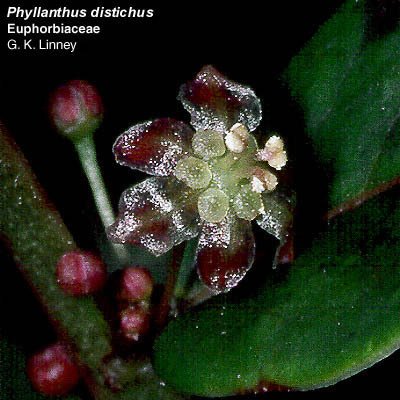 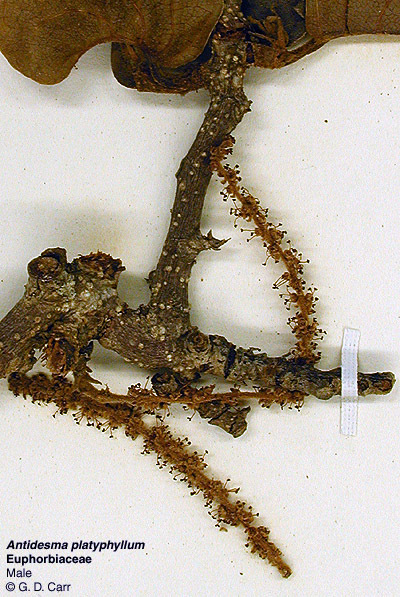 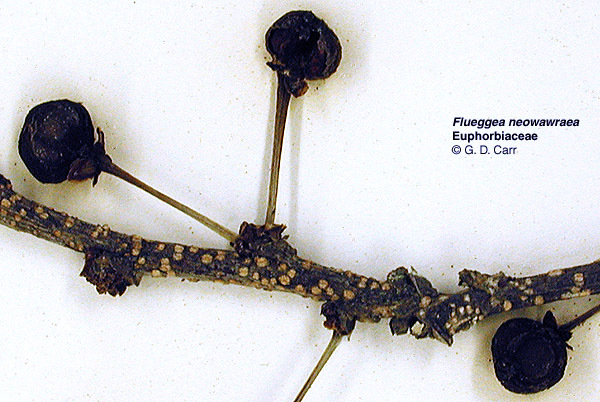 Small stipules are also visible. 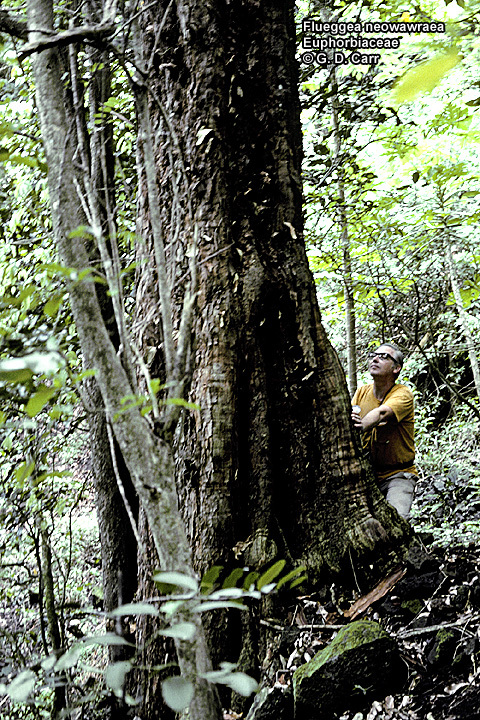 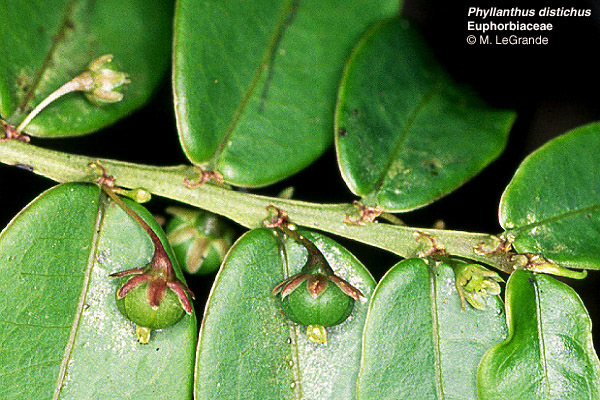 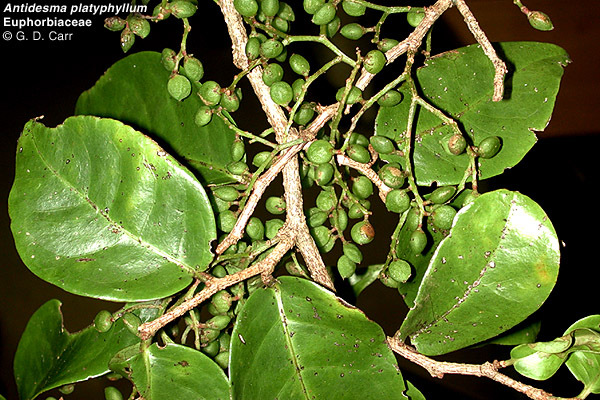 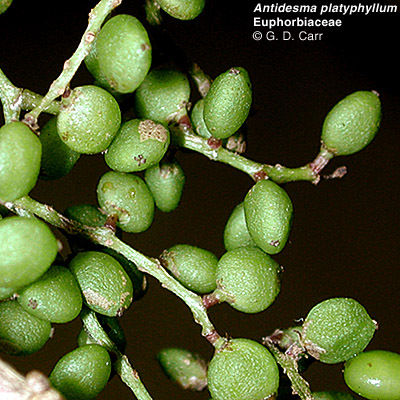 Phyllanthus distichus, pamakani mahu, pamakani, endemic.